Six men and a woman have been arrested on suspicion of attempted murder after a pensioner was brutally stabbed during a shocking robbery in his own home. A gang of masked thugs forced their way into the defenceless 71-year-old man’s property in broad daylight before they attacked him with a knife. They fled with jewellery, an iPhone and £700 in cash and left the elderly victim with wounds to his head, face and throat at around 4pm on Sunday (10/2). The OAP was rushed to hospital for treatment following the “grotesquely violent attack” where he remains in a serious but stable condition. West Midlands Police said seven people have been arrested in connection with the incident, which took place on Titford Road, Oldbury, West Mids. Detective Inspector Jacqui Nicholson, from force CID, said: “This was a grotesquely violent attack on a man in his own home…we suspect the robbery was targeted and not a random attack. Three men, aged 37, 40 and 42, were arrested at an address on Cottage Walk, West Bromwich, West Mids., at around 9.20pm on Sunday. A 40-year-old woman and three more men, aged 35, 36 and 38, were detained following a raid in the early hours of this morning on Hollywell Street, Bilston, West Mids. 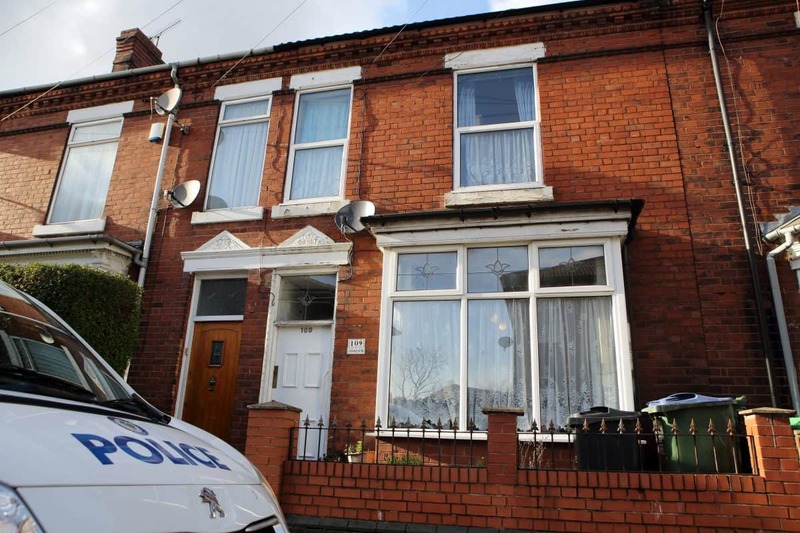 All seven suspects remain in police custody being quizzed by detectives as officers review CCTV and carry out house-to-house enquiries around the area . Anyone with information is asked to call force CID on 101 quoting log 1629 10/2 or the independent charity Crimestoppers on 0800 555 111.